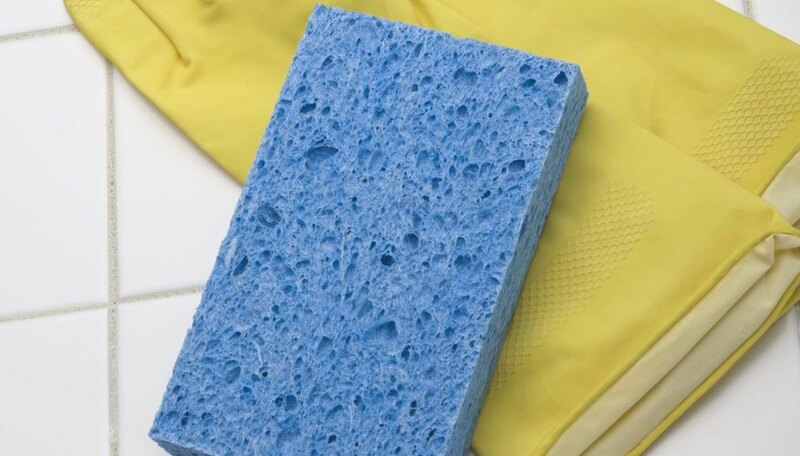 Cellulose sponges are a type of artificial sponge created as a cheaper alternative to expensive natural sponges. The manufacture of cellulose sponges is a type of viscose manufacturing. The same raw materials and very similar processing steps are used for different products that are created from viscose, including sponges. The primary difference is the shape of the extruded viscose at the end of the manufacturing process. Cellulose sponges are used mainly for cleaning various surfaces by households or businesses. Purchase cellulose sheets made from cotton or cut hemp fibers. Pre-manufactured cellulose comes in large, stiff sheets. Shred the sheets and steep the cellulose in a vat or reactor of water mixed with the sodium hydroxide (NaOH) solution to produce alkali cellulose. The NaOH, also known as lye and caustic soda, serves as a chemical softener. It adds a sodium ion to the cellulose chain, thus breaking the cellulose into shorter lengths and lowering the viscosity. Age the resulting mixture the desired length of time to decrease the cellulose chain length or degree of polymerization. Add carbon disulfide (CS2) to form a substance called sodium cellulose xanthate. Then remove excess CS2 by either applying vacuum to the reactor or purging with air or nitrogen (N2). Load the sodium cellulose xanthate into a revolving mixer. Add more NaOH solution, sodium sulphate crystals, also called glauber salt, and optional dye. The size of the sodium sulphate crystals determines the size of the holes or pores in the finished sponges. Use coarse crystals to create rough sponges, such as those used for washing cars, and use tiny crystals to create fine sponges, such as those used for applying makeup. Close the mixer and set it to rotate until the ingredients are thoroughly mixed. The resulting material is referred to as “viscose” by the industry. Age or “ripen” the viscose solution and then filter to remove any unreacted alkali cellulose. Pour the viscose mixture into large, rectangular molds. Heat the molds, melting the sodium sulphate crystals. The resulting liquid drains away through openings in the bottom, leaving the holes characteristic of sponges. The cooled viscose mixture becomes a firm but porous block. Remove the sponge blocks and soak in a vat of bleach to remove any dirt or other contaminants and brighten any color created by the addition of dye. Next, rinse the sponge in water. Perform any desired additional rinses with water to make the sponge material more flexible. Let dry. Either sell the sponge blocks to a converter or cut and package the sponge yourself. Converters cut the sponges according to your specifications and handle packaging and distribution. If completing the finishing process yourself, load the sponge blocks into the automatic cutting machine and cut to the desired size. Complete any final processing of the sponges, such as adding antibacterial agents or laminating a scouring pad to one side using sponge glue. Package the sponges as desired and box. Joy Prescott has over 12 years experience as a technical writer. Since 1980 she has been a professional crochet pattern designer, publishing in many crochet magazines including "Crochet!" and "Crochet World," and in books such as "Today’s Crochet: Sweaters from the Crochet Guild of America." Prescott has a Bachelor of Arts in English from Fort Lewis College in Durango, Colorado. 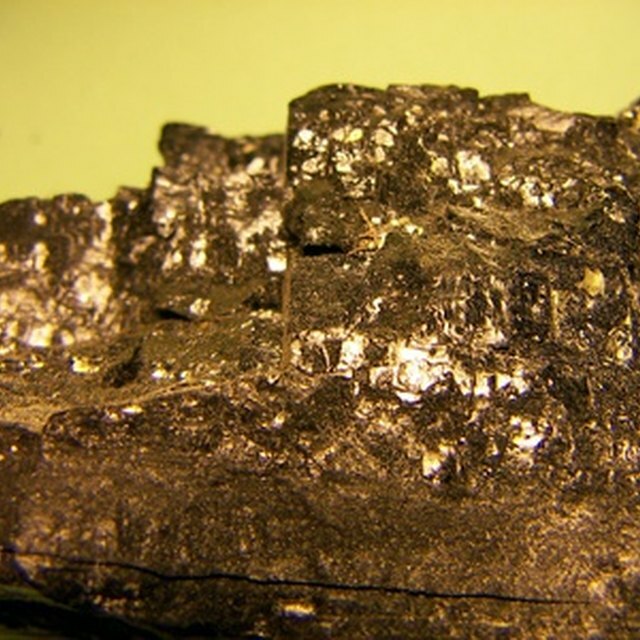 What is Ethanolic Potassium Hydroxide? Prescott, Joy. "How to Make Cellulose Sponges." Sciencing, https://sciencing.com/how-to-make-cellulose-sponges-13640005.html. 26 September 2017.